Martin Marietta planned to build a new quarry access road near Cedar Rapids. 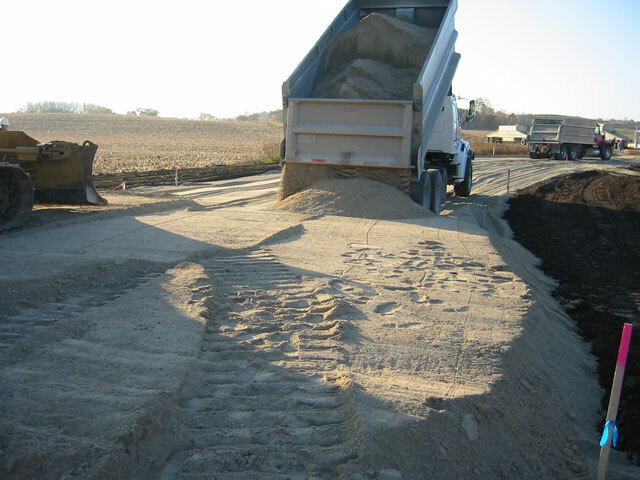 This provided an excellent opportunity to conduct the proposed pilot testing and research, which included material analysis, design procedures, construction operations, and evaluation of test sections of new flexible pavement supported by two to three different aggregate screening materials as the base. Test sections consisted of untreated and treated screenings and were evaluated for performance over a five-year period.